EPA Says Fracking Contaminates Ground Water. What??? So, for quite a few years, many people have been saying that hydraulic fracturing is contaminating the water supply. For as many years, the EPA has been denying that this is the case. Now, after studying the situation for 5 years, the EPA has put out a report stating the fracking has indeed contaminated drinking water. Well I’ll be damned! I wonder how much money was spent to do this study? Are the results anything that we didn’t expect? I think not! What a shame that the entity given the job to protect the environment has been the very one that let all this happen? Way to go EPA! Thanks for protecting our precious water supply and listening to the little people who can clearly see how bad fracking is for the environment. Just what did they find? Widespread and systemic contamination from fracking. They had many chances to look into the damage fracking is doing to the environment and to the health of those who live near fracking operations. Since 2009, they have given their half assed efforts and for whatever reasons, pulled back when they got close to proving this process is unsafe for the environment. EPA, Environmental Protection Agency. Seriously? I do not think they are doing their job if they let big oil and rich politicians direct their investigations. So, what’s next EPA? Monsanto? Is There Fracking Waste in Your Water? We all know that in order to frack fuel from the ground, loads of ugly chemicals have to be mixed with water to fracture the earth and extract the natural gas. Did you ever think about where the water goes when they are finished with it? Watch this video and open your eyes. They are putting fracking waste into the water supply! They are injecting the toxic waste into the water we drink. Once protected water aquifers are turning into toxic soup. This is devastating for well water users. Many of the frack waste disposal areas are contaminating neighboring communities. Billions of gallons of toxic fracking waste has been dumped into the US drinking water supply. It is almost impossible to know how many water ways are contaminated because “big oil” is not required to publicize what they do with their waste. If this keeps up, there will not be anywhere a person will be able to get safe drinking water. An estimated 30% to 70% of the fluid used in fracking will resurface, requiring treatment. Fracking also releases “produced water” from underground that also rises to the surface, and can be anywhere from two to 200 times as much water, depending on the oil/gas/water concentrations in the shale formation. Listening to this I wonder how our government allows the careless disposal of fracking waste happen. Really, everyone needs water. It is not a right, its a requirement for sustaining life. Ohio, Fracking, Fish Kill, Is There a Connection? Really, what killed all those fish? If the chemicals that killed the fish are in the water, how can anyone be sure the drinking water in Ohio, or anywhere else for that matter is safe? The idea that natural gas is more economical and eco friendly is a nice pipe dream, but the reality is that the process of “harvesting” natural gas is extremely harmful to the environment. The fracking process literally breaks the core layers of the earth. The chemicals used in the process are poison. When the earth is fractured, earth quakes happen, when accidents happen with the chemicals and these chemicals spill into our water, contamination happens. The earth and its water are essential to all life. If we allow Halliburton and other companies to continue to fracture and poison them, we are all going to perish. Why did it take Halliburton so long to disclose what was spilled into the water? Did they disclose everything? Or did they leave some really bad stuff out? Why do they not have rules and regulations regarding what chemicals they use to fracture the earth for their precious natural gas? Are the illnesses and bad water just a figment of residents imaginations? If their water and their land was fine before fracking, why is their water and their land turning into poison? What happens in and around a fracturing production area is not imaginary. Real people are getting sick, fish are dying, water is turning to poison, earth quakes are growing. Why is there nothing we can do to stop the madness? Most likely nothing. All we can do is protect ourselves as much as possible from the poison that is contaminating the earth and water. Anyone who lives anywhere near a fracking well should use a quality water filter. 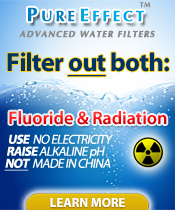 It may not filter all the poison, but it will reduce a lot of the contaminants. Without knowing what is in fracking fluid it is impossible to know if it can be filtered. Not using a quality water filter leaves it all in there. Fracking is happening. There is nothing that can be done to stop it. Get your water tested often. You have the right to know what is in your water. Only by know what is in it can you choose the right filter to remove it. While some states have struggled with fracking – including New York, which has vacillated on a moratorium – others like neighboring Pennsylvania have experienced some benefits of the process. But is it safe, and is it worth it to the economy? Here’s a brief look at fracking in Pennsylvania. As a quick rundown, hydraulic fracturing (known widely as fracking) is a process wherein a bore hole is drilled into the earth and pumped with a solution of water and chemicals at a high pressure. This creates fractures in the ground which can release natural gas and oil trapped in the rock. The process is expected to account for four out of every five natural gas wells drilled over the next decade across America. There’s no doubt that fracking seems here to stay. No doubt, fracking is a contentious issue in Pennsylvania. Recent studies have shown that while nearly half of Pennsylvanians support it, more than a quarter are wary of the process. 24% of PA residents say it depends how fracking is done. Another study demonstrated that, while some Pennsylvanians felt that their health was affected negatively by fracking, the environmental concerns weren’t nearly as serious as some fracking detractors have said. From an economic perspective, fracking is expected to add 1 million jobs to the United States’ economy over the next 12 to 13 years or so. Pennsylvania is a small picture of that growth. And as the concern about health and safety risks about fracking have grown, so has research into the process: the Environmental Protection Agency and the United States Council on Health and Science have found no instances of deleterious health effects being linked to fracking. Keystone Physician points out that, while more research is needed to determine for sure whether fracking can negatively affect human health, the economic benefits of the process are undeniable. In Pennsylvania, and throughout the country, it’s time to ask some serious questions about fracking – questions that aren’t steeped in the scare tactics of detractors, but in the research surrounding the process. For more information, check out the below infographic researched by RankPop titled “Fracking: Economic Boom or Safety Bust?” The piece takes a wider look at the issue of fracking throughout America and seeks to both demystify the process and to provide some answers regarding the economic, environmental, and health effects of fracking. Brandon William Peach is a writer across many topics, including religion, pop culture, literature, marketing, politics, human rights, and animal welfare. His work has been featured at RankPop, RELEVANT Magazine, Lure of Mac, I Think I Believe, Existimatum, and much more. Follow him on Twitter @BrandonPeach. Ever wondered what is going to happen after the big oil and fracking boom of this century? The after effects are already becoming evident as the first in line for the influx of cash to cities and towns are beginning to be deserted. There are many reasons fracking will end in ghost towns. Water quality is very high on the list of reasons these towns will no longer support life. With the ethanol boom came the inevitable bust, which hit some rural communities harder than others. The ethanol bust provides a glimpse into the future for communities that have opened their doors to shale gas extraction or those that seek to do so. Indeed, a recent report by Cornell University says fracking is already having mixed economic results, even in the short term. The report says: “The rising tide is not likely to lift all boats: there will be losing communities, and individuals who are displaced or left behind. Moreover, the experience of many economies based on extractive industries warns us that short-term gains frequently fail to translate into lasting, communitywide economic development. The writer is program director for Water and Energy Programs at the Grace Communications Foundation. More and more restrictions are attempted for the oil industry, but are they too little too late? Will they even be enforced? Some of the nation’s biggest oil and gas companies have made peace with environmentalists, agreeing to voluntary standards for the hydraulic fracturing drilling process in the Northeast. Drilling and pipeline companies will be encouraged to submit to an independent review. If they are found to be abiding by measures to protect the air and water, they will receive the blessing of the new Pittsburgh-based Center for Sustainable Shale Development, created by environmentalists and the energy industry. Many of the standards seem stricter than state and federal regulations. Participants include Shell, Chevron, the Environmental Defense Fund, the Clean Air Task Force, EQT Corporation, Consol Energy, and the Pennsylvania Environmental Council. A version of this brief appeared in print on March 21, 2013, on page A17 of the New York edition with the headline: Pennsylvania: Pact Reached On Fuel Drilling. What about the damage that has already been done? What the Frack Is The EPA Doing? As I read a post about the EPA has halted investigations from the citizens they are supposed to protect, I really feel angry. I want to know why we are letting this happen? What the heck does that even mean? Really! We are loosing access to safe drinking water. All the money in the world cannot clean up the mess we are allowing to be made of our safe drinking water. While big oil and politicians argue about how harmful or not hydraulic fracturing, big oil is allowed to continue drilling and contaminating all over the place. The charges, claims and scientific proof are there, right in front of their eyes! This is serious people! There may be things causing irreversible damage to our safe drinking water. They very well could be putting crap in our water that we cannot filter out. Then what? Seriously, then what? No matter what your income scale, you will surly die along with everything else. Why can they not STOP the drilling until they get this sorted out? Stop funding it. Let the EPA do their job. Protect the environment. We see and hear everywhere about why hydraulic fracturing is bad for health and the environment. The well documented water catching on fire, animals and people becoming ill from the after effects. But is that all the damage fracking causes? I found quite a frightening post about 5 weird and scary effects of hydraulic fracturing. Here is part of a post that points out scary facts about fracking. Make sure you read the entire post here. This past June, a methane geyser was found in Pennsylvania’s Tioga County. Yes, a geyser — shooting methane-infused water 30 feet up in the air. Once the geyser was discovered, the county immediately turned to Shell, which was drilling in three nearby locations. Shell and the Department of Environmental Protection began investigating, and it was correctly suspected that an abandoned well from the 1930s contributed to the problem. Last week, a new report confirmed that Butters well, drilled in 1932, was part of the chain reaction that triggered the geyser. But the main problem was Shell’s fracking, as it displaced methane pockets underground, which then moved into Butters well and shot up to the surface. Improperly abandoned wells, like Butters well, are hard to uncover, as they were drilled long before permits were required or any kind of records were kept. With as many as 300,000 wells drilled in Pennsylvania over the past 150 years, it’s unknown how many abandoned wells there may be that could be dangerous. For example, the DEP informed Shell of Butters well, but there was no information on whether or not it had been plugged. Meanwhile, regulators don’t require drilling companies to search for, inspect and plug abandon wells. Though abandoned wells provide an easy pathway for methane to reach the earth’s surface, once displaced by fracking, the harmful gas can also make its way upward through cracks in the ground. Methane is an odorless, flammable gas that can cause breathing problems at high concentrations and is more than 20 times more effective in trapping heat and contributing to global warming than carbon dioxide. What happens if you’re a land owner who lives on a profitable mineral site, but doesn’t want corporations fracking on your land? Well, apparently, they will maneuver a way to frack your land anyway. In a new report published last week, Reuters explored oil and gas companies’ nationwide land grab. The report focused on Chesapeake Energy Corporation, which has become the leader in petitioning state agencies when land owners refuse to sign over their land to fracking or oil drilling companies. In Texas, since 2005, Chesapeake had made 1,628 requests to drill on land that owners refuse to lease— nearly twice as many sought by its rival Exxon Mobil — and the state has only rejected five of them. 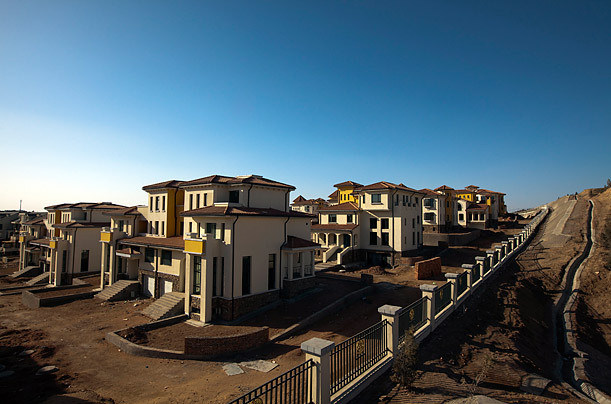 When it comes to profit, property rights just don’t seem to matter. And a mix of money in politics, as well as a desire for profit, has weakened regulation. “I don’t think the state should be able to take a landowner’s rights to generate a profit for a private company,” said David Conrad, an Ohio resident who opposes fracking, but will soon have a Chesapeake well under his home. In its petition, Chesapeake told regulators its proposed drilling unit could produce 4.5 million barrels of oil and 3.5 billion cubic feet of natural gas — if the plots of the 49 land owners who didn’t lease their property to Chesapeake were included. If not, Chesapeake said, the unit would be 75 percent less productive and would miss out on an additional $71 million in revenue, according to its application. That math carried the day. If you don’t hate fracking already, what if you learned that it can affect wine? Furious? Me too. Vineyard owners in California are growing increasingly wary of fracking as gas companies begin preliminary operations. Venoco has started exploring Monterey Shale for both oil and gas drilling. Last year, the company filed an application for drilling permits in Monterey County, according to Simon Salinas, a member of the county’s Board of Supervisors, and it already holds hundreds of thousands of acres in the formation, has drilled more than 20 wells and has invested $100 million in oil exploration. Besides fears of contaminated water, Salinas also mentioned that when residents realize the fracking process uses millions of gallons of water that they need for their crops, they will be quite upset. But even if these threats don’t come to fruition, residents are still concerned that fracking will have a negative effect on their marketability. After all, with cities like Napa and Sonoma not too far away, who’s going to want Monterey’s fracking wine? Across the country, in Brooklyn, NY, a winery with similar fears about fracking in the Marcellus shale, recently hosted an anti-fracking benefit. The potential for fracking affects Brooklyn Winery, as we source grapes for our wine from a number of vineyards in New York state and many of our wine bar’s seasonal menu items include ingredients grown on upstate farms. Got milk? Maybe not for long. According to research from Penn State University, fracking has been found to reduce dairy production. The university researchers set out to uncover how fracking in Pennsylvania’s Marcellus Shale region is affecting dairy farming, the state’s top agricultural sector. The researchers examined dairy cow numbers, milk production and fracking activity among various counties in Pennsylvania between 2007 and 2010. They found that counties with 150 or more Marcellus Shale wells saw a 19 percent decrease in dairy cows, while counties with no wells saw only a 1.2 percent decrease. In a similar fashion, milk production in these counties with 150 or more wells declined by an average of 18.5 percent, while counties with no wells had about a 1 percent decline. This research seems to challenge the popular narrative that farmers use the money they receive from fracking companies through leasing their land to improve their farms. The researchers note that additional research is needed to figure out the exact cause of the decrease of dairy production. One researcher wondered whether farmers were taking the money they received from their leases and going into a new occupation, or if they are being forced out of farming due to fracking’s environmental effects or a decrease in their farm’s marketability. Imagine fracking fluid seeping out of your next burger — not appetizing? It may be a reality as more and more livestock are raised near fracking sites. Hundreds of animals have already been affected after coming into contact with fracking fluid. Last year, 28 beef cattle in Pennsylvania were exposed to the fluid. Only three of the 11 calves these cattle gave birth to survived. In Louisiana a few years ago, 16 cows dropped dead after drinking fracking fluid. The process and chemicals used in hydraulic fracturing are mostly unknown to the average person. Indiana is now requiring the companies that frack our land disclose what fracking chemicals they are using. Full disclosure should be nation wide. The Gas companies should not be allowed to continue putting fracking chemicals into our ground water. Oil and gas well operators that use hydraulic fracturing or fracking in Indiana must now report, among other things, the materials and the volume of chemicals used in the fracturing fluid. The mandates results from new legislation that went into effect on July 1. Fracking is a technique that pushes water, chemicals and sand into the ground under high pressure to crack rock formations. In addition to oil and gas, it is also used to extract coal-bed methane. Between 2005 and 2010, as many as 23 percent of the new oil and gas wells drilled in Indiana used hydraulic fracturing. Herschel McDivitt, Director of the Oil and Gas Division at the Indiana Department of Natural Resources, says the state requirements are in response to public concerns over potential effects of the fracking fluids on human health and environmental safety. “With the new legislation, what Indiana has done is positioned itself to be able to gather this information, make it available to the public and stay abreast of any changes in the technology,” McDivitt says. The DNR posts the information about the chemicals in an online database. Hoosier Environmental Council Senior Policy Director Tim Maloney says the requirements will increase transparency. “The disclosure will provide greater attention to the potential risks and ultimately lead to the use of less toxic and risky substances,” he says. This Indiana law is stricter than federal requirements. There is nothing on the books nationally that mandates the reporting of chemicals using in hydraulic fracturing. Hydraulic Fracturing is in the public eye a lot lately. There are FaceBook groups, twitter hash tags, and information everywhere spreading the word about the damage that fracking the land causes. Ask anyone who lives or used to live in an area where this harvesting of natural gas takes place. Fracking is not good for our Planet. At all. It contaminates water, land, fractures the Earth and is believed to be the cause of certain areas experiencing more earth quakes. Hydraulic is a radical way of retrieving natural gas from shale rock deep in the Earth. Indiana is surrounded by states that have a lot of fracking wells. Are we in for getting some in our state? Indiana has new rules for hydraulic fracturing that go into effect on July 1. Improving the regulation of fracking – which produces natural gas but also is linked to environmental problems – should be of interest to all Hoosiers. According to a recently released survey from the University of Texas, 63 percent of Americans don’t know what hydraulic fracturing is. So, it’s highly likely that a good number of Hoosiers won’t be all that fired up about the recent change in state law or the expanded reporting rules from the Indiana Department of Natural Resources. But they should be. The new rules increase the reporting requirements. But it remains to be seen if the new rules go far enough in protecting the public and the environment. Be sure to read the Q and A in case you do not know what hydraulic fracturing is all about. This is information that Indiana needs. We need to get really fired up and not allow this to happen in our state. The Indiana DNR also has the information on fracking regulations. See their site for more details here. It is not too late for any state experiencing the bad effects of shale gas drilling. It really is not too late for Indiana. Our Planet is literally being blown apart, from the inside out. For what? Cheaper gas? I think we haven’t seen that yet. More jobs? Not seeing that either. There are conflicting reports about just how much natural gas is even available. These are facts that should be proven, without a doubt, before we destroy our Earth any more. Fracking Reports, Safe Hydraulic Fracturing? Is there a safe way to frack the natural gas out of the Earth? Some say yes, and some say hell no. If everyone would just tell the damn truth. Is there any way to harvest natural gas that is safe for every one and every thing? If there is not a way to do this, without damage, then it simply should not be done. Why the hell do people have to lie cheat and steal to to damage the Earth and its people? I mean really, if we are not around for you to contaminate, and over charge for your products and services, what good is it. There is conflicting data every where, some say the act of fracturing the Earth’s core will do no damage; There is no water contamination as a result of fracturing; Harvesting natural gas will save the economy. And on the other side, thanks to the World Wide Web, real people get to tell their horror stories, we hear that earthquakes in fracturing areas are becoming more prominent; People are getting sick and even dying, all for “Big Oil” to make a buck and save an economy that they helped destroy! Seriously, don’t they make enough damn money off of us! They have to kill us too?? What are we paying our elected officials to do? Protect our rights? Or make sure big money stays big? If they are not working for us, then why should we pay their wages? Let big money pay them, we need our cash to live! What if hydraulic fracturing continues at its current rate? What if they don’t start doing it safely. Can they perform hydraulic fracturing safely? There are reports that say yes, hydraulic fracturing can be done without harming the earth or the people that live on it. Here is a report Golden Rules for the Golden Age of Gas. Things that are omitted from other reports on safe hydraulic fracturing: The future would be total devastation. The Earth will no longer support any life form. The Greed of others is taking us on a downward spiral of devastation, again, what good is all that big money has, if there is no life? Safe fracking, Energy agency’s findings should be questioned. In my opinion, No more fracturing should be happening until the long term results are carefully looked at.